Droitwich Knee Clinic in Bromsgrove, England has announced a personalised rapid recovery program for knee replacements, using bespoke GBS (get better soon) techniques. The Droitwich Knee Clinic has announced its bespoke and personalised rapid recovery program “Get Better Soon” for knee replacements which they fondly call DKC-GBS. The procedure is done after careful assessment with individual patient examination and only if all non-surgical treatment options have been exhausted. A knee replacement is a common orthopaedic procedure that is used to replace the damaged or worn surface of the knee with an implant and will relieve pain and increase mobility. The clinic has developed the DKC-GBS knee replacement procedure and pathway for faster recovery and gets patients back to their normal lives quickly. The Clinic has worked on rapid recovery pain management techniques to help patients return to work more quickly since 2006 and help patients reduce pain levels during rehabilitation. Positively motivated patients can go home after their procedures within 1-2 days after their DKC-GBS knee replacements. 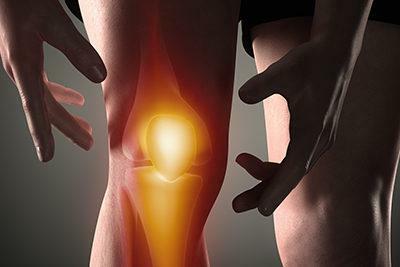 In addition to knee replacement procedures, the Droitwich Knee Clinic who is celebrating its 30th Anniversary, offers a wide range of knee treatments including regenerative medicine, steroid injections, Anterior Cruciate Ligament reconstruction, arthroscopic procedures, and help with knee pain in children. The Droitwich Knee Clinic also provides Open MRI, Weight-bearing MRI Scan, X-ray, ultrasound scanning and physiotherapy. Regenerative medicine treatments offered by the clinic include steroid injections, synvisc injections and platelet rich plasma treatments. These treatments are effective for conditions like early osteoarthritis. The treatments are administered after careful vetting of patients as these procedures are not suitable for all patients. The clinic also specialises in treatment of shoulder conditions including arthroscopic shoulder procedures for shoulder impingement, dislocations and shoulder joint tendon tears. Arthroscopic procedures are examinations of the internal structures of a joint using a 5-9mm scope with an attached camera and light source and are used to treat joint surface damage and other arthroscopic conditions. The practice has received many positive reviews for their work over the past 30 years, including this online testimonial reading, “Many thanks to you (and your colleagues and staff) and the hospital for giving me a new knee exactly six months ago. As you said I’ve been able to enjoy my 3 visits to Jersey pain free and I’m able to walk anywhere. Best wishes to you all”. The clinic’s website has numerous resources to help their patients in and out of the clinic. Interested patients can find more information and book an appointment at the link above.